DETROIT — It didn’t look or sound like a rebuilding team, holding on for a win against a contender. 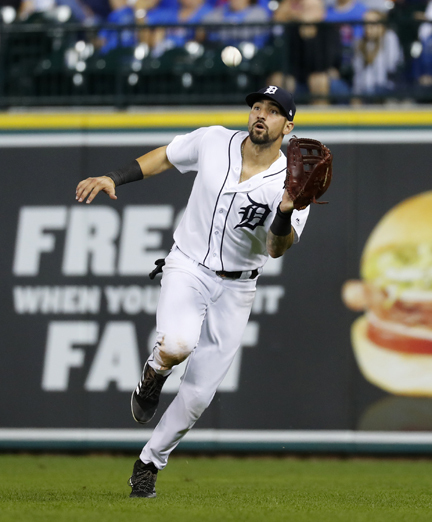 Shane Greene had a game-ending strikeout against Jason Heyward — with fans roaring on their feet — to help the Detroit Tigers beat the Chicago Cubs 2-1 on Tuesday night. Jordan Zimmermann (6-5) pitched six effective innings for Detroit, continuing Chicago’s misery. The NL Central-leading Cubs were held to one run — each time via a homer — for the fifth straight game, dropping the last three in the offensive slide. This time, Anthony Rizzo led off the sixth with his 19th homer, driving a Zimmermann pitch over the wall in right. But that was it once again for Chicago. Drew VerHagen, Joe Jimenez and Greene combined for three innings of one-hit relief. Detroit got both of its runs in the first inning. Jeimer Candelario doubled and scored on a groundout, while Victor Martinez, who finished with three hits, added a two-out RBI single.